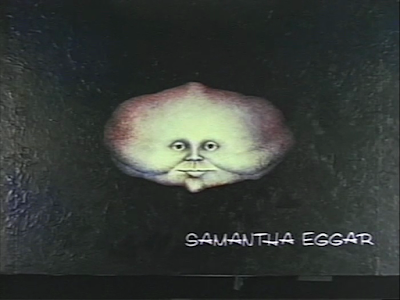 During the 1970s and 1980s, Samantha Eggar appeared in a number of horror films. The classic 1972 Italian giallo The Dead Are Alive was her first horror project to be released to the public but she actually filmed her first horror movie, A Name for Evil, in 1970. 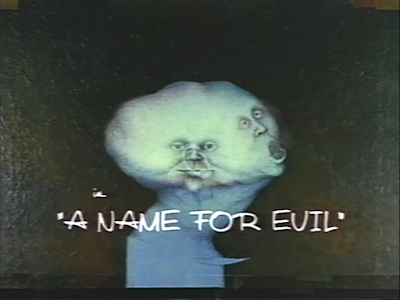 However, A Name for Evil was not released in its original form; it was re-cut and finally released in 1973. Samantha Eggar is beyond beautiful in A Name for Evil. Though the movie has seen a wide variety of reactions from critics and viewers (ranging from overwhelmingly negative to cheerfully positive), Eggar's physical appeal cannot be denied. It's actually a very entertaining piece of cinema with many unique aspects, fun scenes (including a trippy interpretive dance sequence -- sans clothing), humorous digs at hip/phony self-exploration, plus it has a great score and imaginative camerawork. Samantha Eggar's lovely presence is the icing on the cake for this fine horror flick.